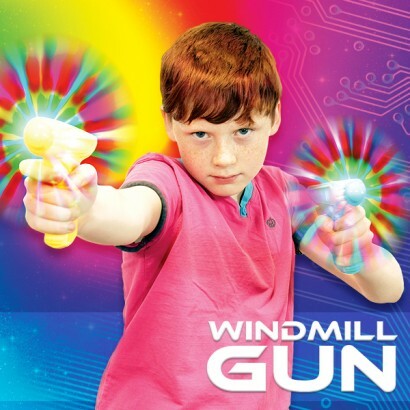 Pull the trigger of the Flashing Rainbow Windmill Gun and shoot colourful circles of hypnotic light! Colourful LED's are packed inside two windmill arms that shine brightly and rotate to create stunning colourful effects that will mesmerise. 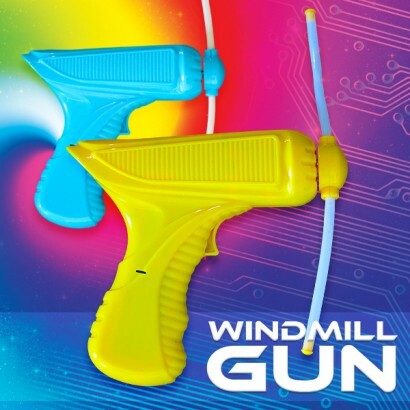 A fun toy gun that only shoots colour and light, this Flashing Rainbow Windmill Gun will be loved by boys and girls alike!